Ariel Clark is our Latest Featured Speaker! Our latest featured speaker is Ariel Clark from Clark Neubert LLP! Ariel will be returning to speak at our upcoming Recreational and Medical Marijuana Law and Business in California conference in Los Angeles on November 1st-2nd. She has previously spoken for us at our Marijuana Law and Practice 101 in Los Angeles, where attendees raved about her informative and knowledgeable presentation. Suffice it to say we are excited to have her back! Ariel Clark is one of California’s best known and longest-serving cannabis business attorneys. In 2008, when the idea of a cannabis business law was often considered an oxymoron, she dedicated her practice to this emerging industry—foresight that was recognized in 2017 by Rolling Stone which named her one of 18 “Women Shaping The Culture of Tomorrow” and by Cannabis Business Times as one of the top 75 women. Whether protecting her clients’ rights or advising elected leaders, Ariel’s intelligence, charisma, and tenacity have earned her a national reputation as one of cannabis’ fiercest advocates. Ariel’s extensive work in California demonstrates her talents navigating complex issues and changing laws. Her work helping clients execute complex political strategies, obtain licenses, set up proper business structures, and interface with local and state officials across hundreds of jurisdictions has given Ariel a deep understanding of state and local priorities. This experience has been particularly visible in Los Angeles. By all accounts both the biggest urban cannabis market in the world, Ariel founded and serves as Chair of the Los Angeles Cannabis Task Force. Against considerable odds, the Task Force was instrumental in the passage of Measure M, authorizing the creation of a legal, regulated industry in LA. Ariel earned her Juris Doctor degree from the University of California, Berkeley School of Law (Boalt Hall), and was awarded a Bachelor of Arts degree with honors from the University of Michigan, Ann Arbor. She is an active member of the National Cannabis Bar Association, California State Bar, and the Beverly Hills Bar Association. 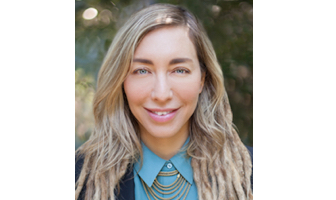 She serves on the board of California NORML, the policy committee of the California Growers Association, and is a member of the National Cannabis Industry Association and the California Cannabis Industry Association. Prior to founding Clark Neubert LLP, Ariel captained her own solo firm, which she started after practicing with California Indian Legal Services in Oakland, Santa Rosa, and Eureka. This entry was posted in Featured Speakers and tagged Ariel Clark, Featured Speaker.